After their father's death, Harry, Frank, and Pierce Fukuhara-all born and raised in the Pacific Northwest-moved to Hiroshima, their mother's ancestral home. Eager to go back to his own land-America-Harry returned in the late 1930s. Then came Pearl Harbor. Despite being sent to an internment camp, Harry dutifully volunteered to serve his country. 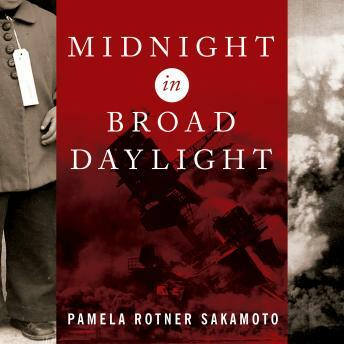 Back in Hiroshima, his brothers Frank and Pierce became soldiers in the Japanese Imperial Army. As the war raged on, Harry, one of the finest bilingual interpreters in the United States Army, island-hopped across the Pacific, moving ever closer to the enemy and to his younger brothers. But before the Fukuharas would have to face each other in battle, the U.S. detonated the atomic bomb over Hiroshima, gravely injuring tens of thousands of civilians, including members of their family.